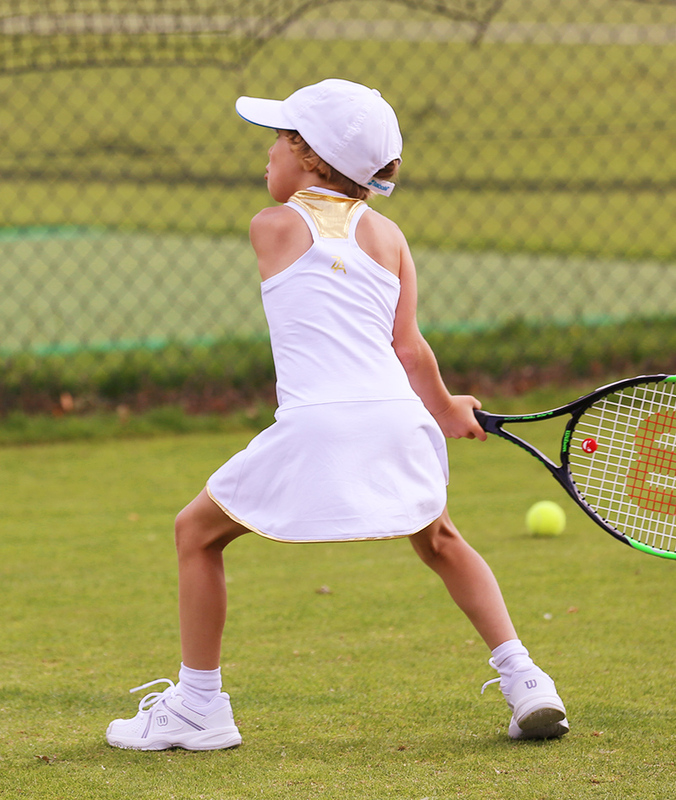 A big warm welcome to our new Wimbledon White Tennis Dress from Zoe Alexander’s 2017 girls tennis dress collection. For those of you who love to make a statement in white, it’s time to shop the look. 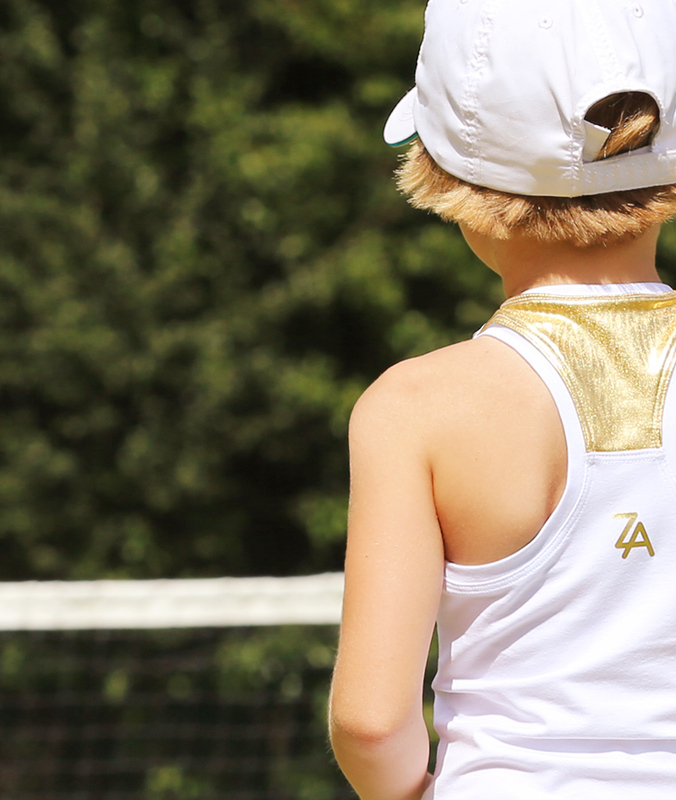 Metallic gold racer back with matching gold ZA logos set on an all-white tennis dress to die for, Zoe Alexander blends new with traditional. 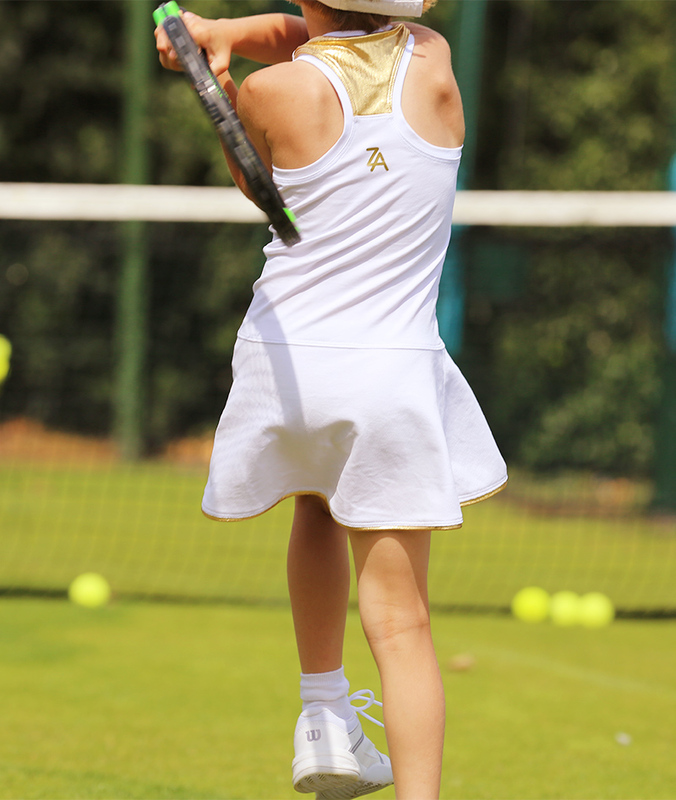 Perfect for those All-White Tennis Clubs that insist on the traditional standards of lawn tennis! 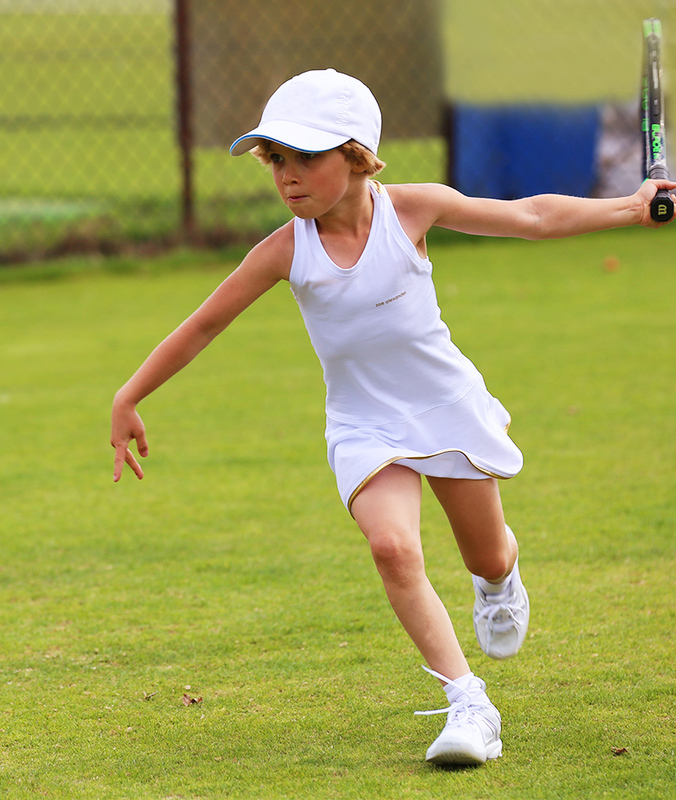 Get the new look here —> ALL NEW WIMBLEDON WHITE TENNIS DRESS! 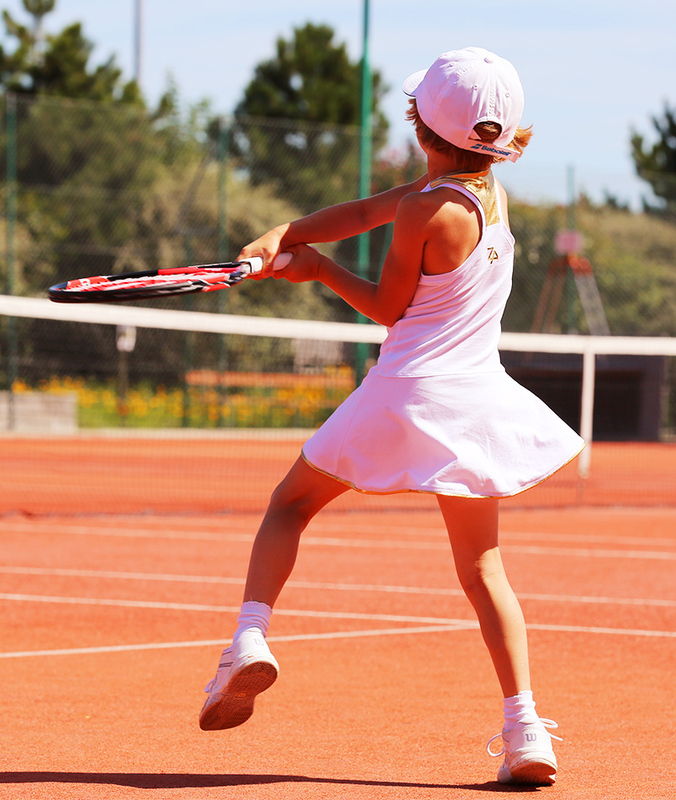 This entry was posted in Girls Tennis Clothes and tagged girls tennis apparel, girls tennis dress, racer back tennis dresses, white tennis dresses, wimbledon white tennis dress, zoe alexander tennis.